An artist concept depicting one of the twin Voyager spacecraft. Humanity’s farthest and longest-lived spacecraft are celebrating 40 years in August and September 2017. 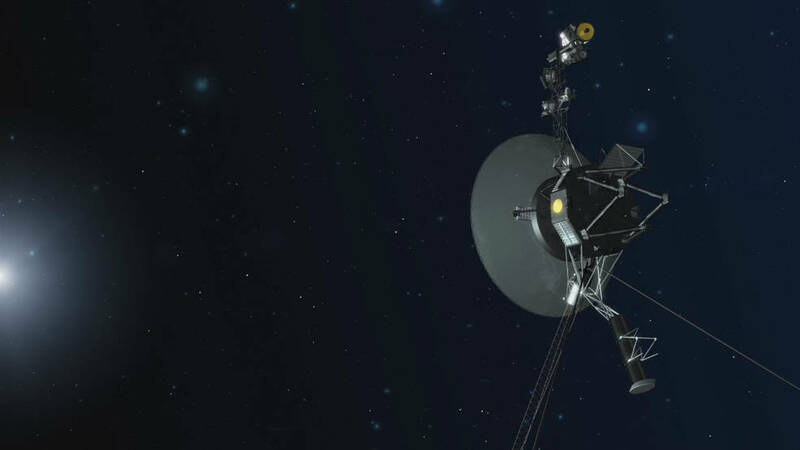 NASA and the Smithsonian National Air and Space Museum will celebrate 40 years of the Voyager 1 and 2 spacecraft — humanity’s farthest and longest-lived mission — with a public event at 12:30 p.m. EDT, Tuesday, Sept. 5. The observance will take place at the Smithsonian’s museum located at Independence Avenue at 6th street SW in Washington. The event will be broadcast live on NASA Television and streamed on the agency’s website. Activities will include panel discussions about the Voyagers’ creation and mission history, their unprecedented science findings and imagery, impact on Earth’s culture and how the spacecraft inspired countless scientists, engineers and the next generation of explorers. The event also will include a galactic message transmitted toward the Voyager 1 spacecraft by a celebrity guest. The Voyagers’ original mission was to explore Jupiter and Saturn. Although the twin spacecraft are now far beyond the planets in the solar system, NASA continues to communicate with them daily as they explore the frontier where interstellar space begins.